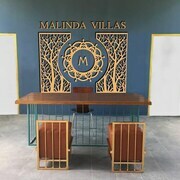 Situated in Pa Klok, this villa is 0.1 mi (0.1 km) from Cape Yamu. The hotel and property was amazing as well as the view that is captured. I did not like how the hotels shuttle does not run longer throughout the night. Also I was never told on how to obtain a shuttle at the airport once I arrived at the airport. The website is miss leading because it does not tell you where the complimentary shuttle travels too. Instead you have to find out when you arrive. Otherwise everything else was fabulous especially the breakfast buffet. 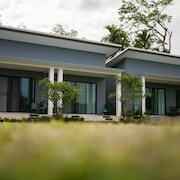 Which hotels are closest to the Pa Khlok airport? Where to stay near top Pa Khlok attractions? What kind of hotels are in Pa Khlok? Which hotel chains are in Pa Khlok? 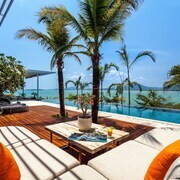 Guests will appreciate the spas, beaches, and island views in Pa Khlok. This relaxing city attracts visitors with its restaurants. 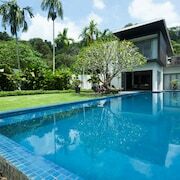 Top attractions around the area include Patong Beach, Phuket Butterfly Garden and Insect World, and Surin Beach. 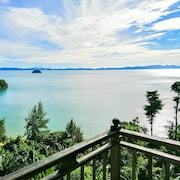 The beach, island views, and seaside provide a picturesque setting, and Khao Phra Thaeo National Park, Gibbon Rehabilitation Centre, and Bang Pae Waterfall are worth a visit. Bang Rong Pier and Phuket Elephant Sanctuary are a couple of additional sights to visit while you're here. 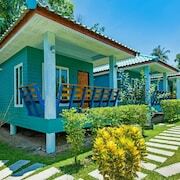 With 19 hotels and other accommodations to choose from in Pa Khlok, you'll find holiday getaways at affordable rates. 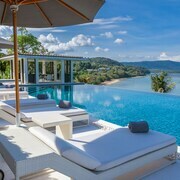 COMO Point Yamu, Phuket - This 5-star resort features a full-service spa, 2 restaurants, and an outdoor pool. 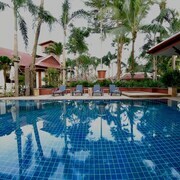 It's a favorite with Expedia travelers for its pool and helpful staff. 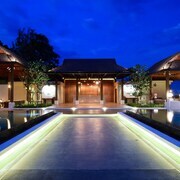 Baan Yamu Residences - This 4.5-star resort features a restaurant, an outdoor pool, and free WiFi. Our customers like its family-friendly amenities and restaurant. 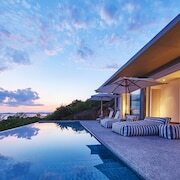 Chandara Resort & Spa - This 4.5-star resort features a private beach, a restaurant, and an outdoor pool. 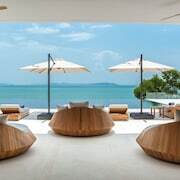 Outside of the city, popular places to visit include Patong Beach located 13.2 mi (21.3 from city center and Phuket Butterfly Garden and Insect World which is 9.5 mi (15.4 away. What are the most popular hotels in Pa Khlok? Are there hotels in cities near Pa Khlok? 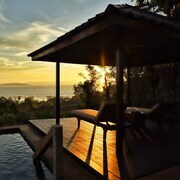 Explore Pa Khlok with Expedia.com.au’s Travel Guides to find the best flights, cars, holiday packages and more!